Put dry cake mix in bowl (do not add the water as directed on the box). 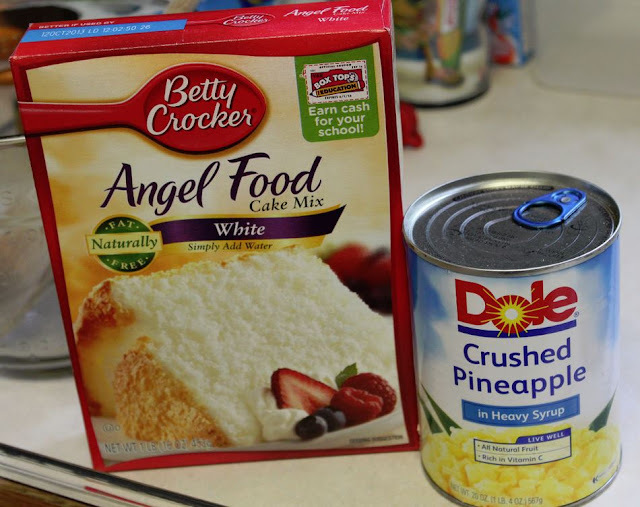 Add entire can of pineapple with juice. Mix carefully until all dry mix in incorporated. Pour into either a tube pan, 9×13 pan, or cupcake pan with liners. Bake at 350 degrees for time on box for size pan (around 30-40 minutes. When sides pull away from pan and toothpick, cake is done.